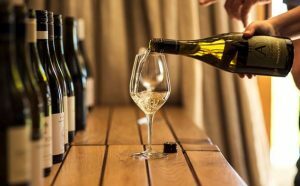 Although New Zealand are well known for their wines, they also know that the tastes are always evolving – therefore they need to stay ahead of the game. While there will always be classics, the following wines that you might never have heard of, are worth checking out. One of the top producers of Pinot Noir in New Zealand is Olssens and this is one of their three amazing wines. This is a harder to find wine in the country but the flavour alone makes it worth looking for. This wine tastes like a combination of cherries and raspberries, with a toasted touch. This is on the middle end of the scale in terms of priced costing £20.50. Although one of the oldest New Zealand wines, this one is a hidden gem and well worth giving a try as a wine lover. This has intense flavours but is also refreshing, making it ideal for the summer months ahead. With fresh blackberry, gooseberry and just a little lemon, what’s not to love? Better yet, this is one of the cheapest wines so far priced at £7.99. This plummy wine is set to soon be replaced with the 2006 version so if you can get your hands on this wine, you should do it because it’s basically limited edition. Produced in one of the oldest wineries in New Zealand, this is very similar to Bordeaux. The exquisite tastes on this wine are ones to be experienced. One of the most popular wines from Hawkes Bay, this one is full of wild berry, plum and peppery flavours. While it tastes amazing, this is a higher end wine and is priced at around £30.00 a bottle.